From dyes and stains to custom artwork and sandblasting. Dyes and stains are available in every color imaginable. 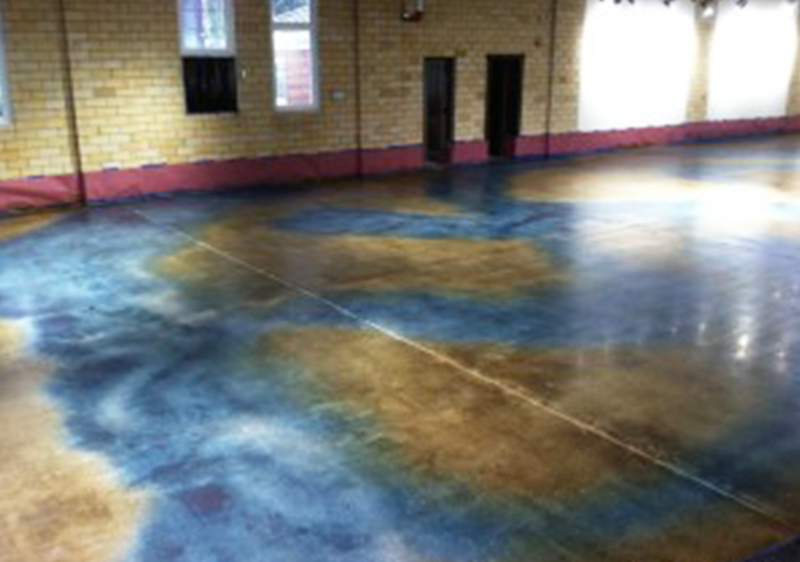 Whether you want to match your company colors, incorporate elements from your brand, or simply have a colored floor, we have a colorant for you. 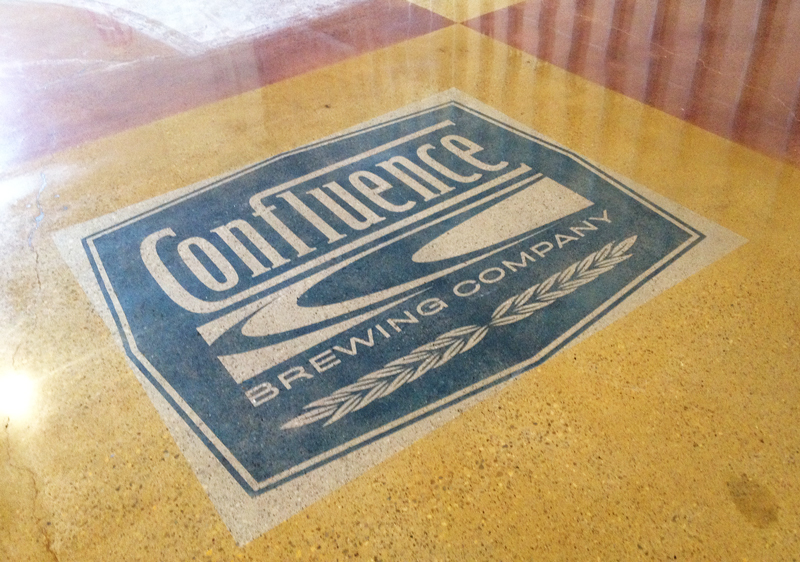 Multiple colors and patterns add to the beauty of your polished or coated concrete floor. We can also offer a multitude of application techniques to add interesting effects when applying dyes and stains. If you can imagine it we can create it! 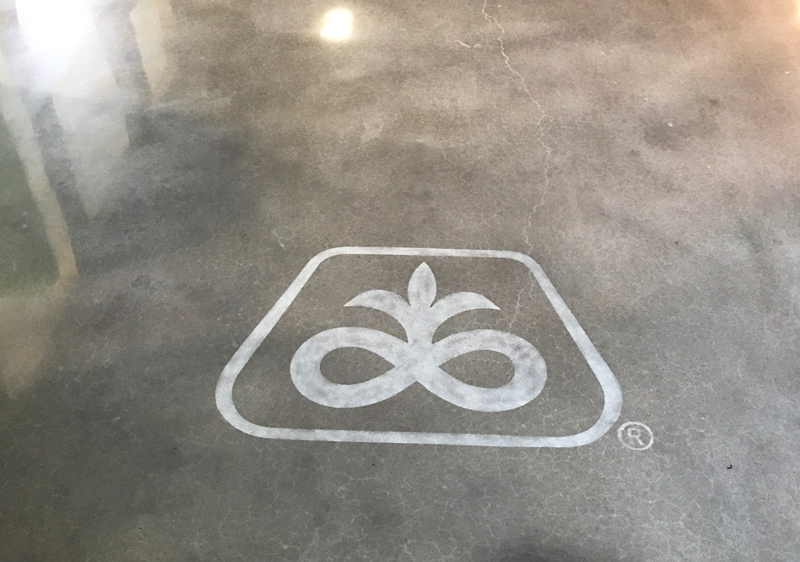 Adding a logo to your floor will personalize your office. They will give your space a unique look and wow your customers. 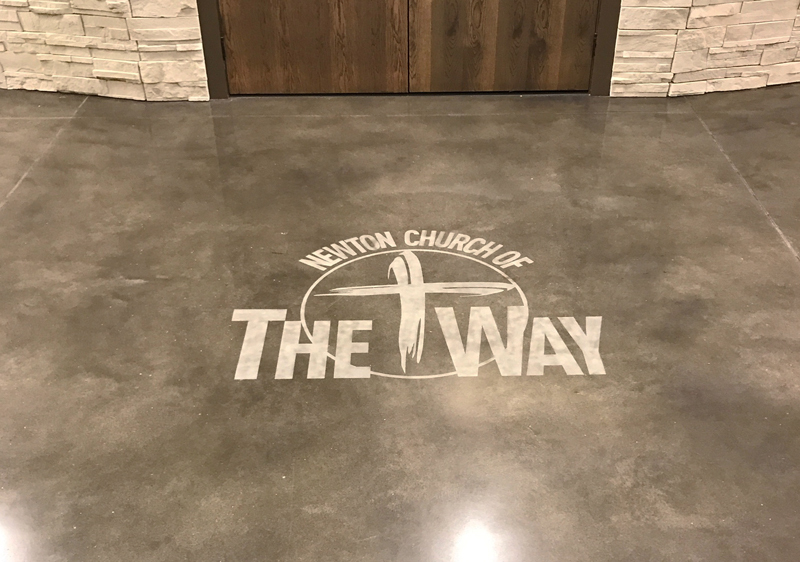 No matter the size, colors, or shape, you logo can be integrated into your floor. Whatever you dream up we can create. Not sure how to integrate your logo? Ask our team for design assistance. 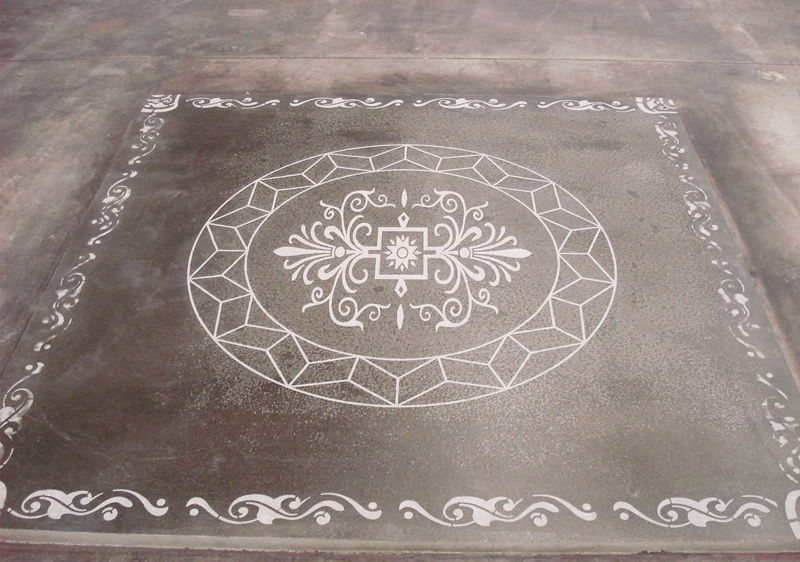 Engraving is a popular way to create a decorative concrete floor. We often incorporate engraving into our polishing process to provide borders, logos and artwork. 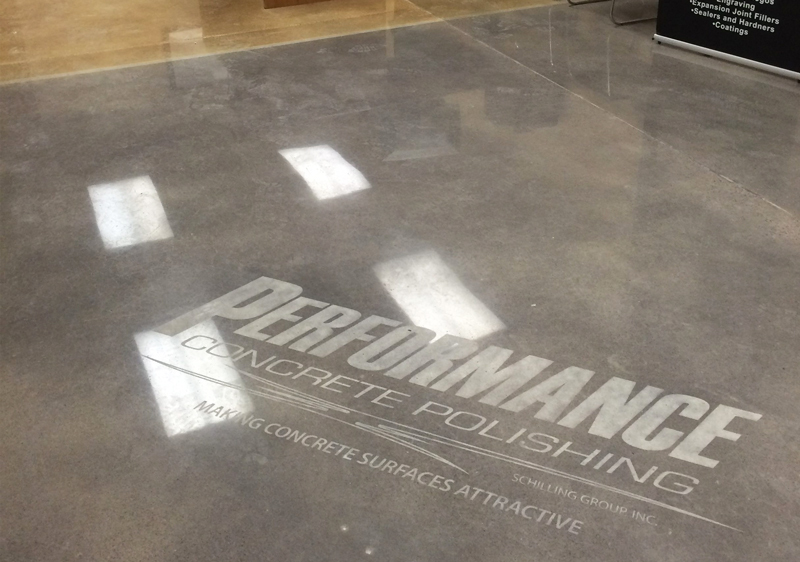 We can turn ordinary concrete floors into slate, tile, stone, brick, and much more. You are only limited by your imagination.